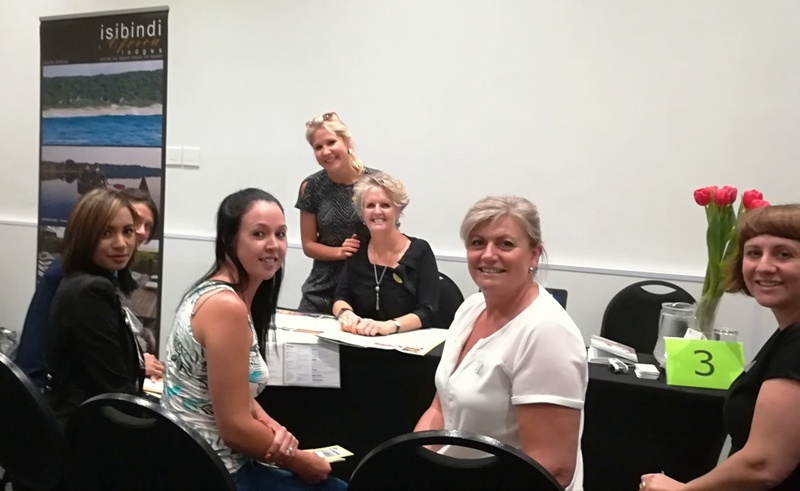 The Exclusive Getaways Workshops for Travel Professionals are friendly, welcoming and productive events showcasing fine South African lodges, hotels and travel products to people working in the South African travel industry. 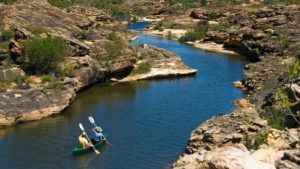 Our workshops are popular with tour operators, travel agents, PCOs and other professionals with an interest in luxury travel in South Africa. We hosted our first travel workshop as far back as the 1990s, and since then our workshops have spread countrywide to the major centres and have become a popular forum for product education and networking. We’d like to share some of the feedback we’ve had from our exhibitors and attendees. Isibindi Africa Lodges: “Thanks so much for always putting on a class act.” ~ Penny Rice, March 2019. The Liz McGrath Collection: “It was a great workshop! For me it was the calibre of agents that attended. We work with a lot of them already, but more face time is always great for us, and an opportunity to develop new relationships.” ~ Chantelle Rossow, March 2019. Makweti Safari Lodge: “An amazing workshop – thank you for all the hard work that went into it.“ ~ Helen Wilson, March 2019. 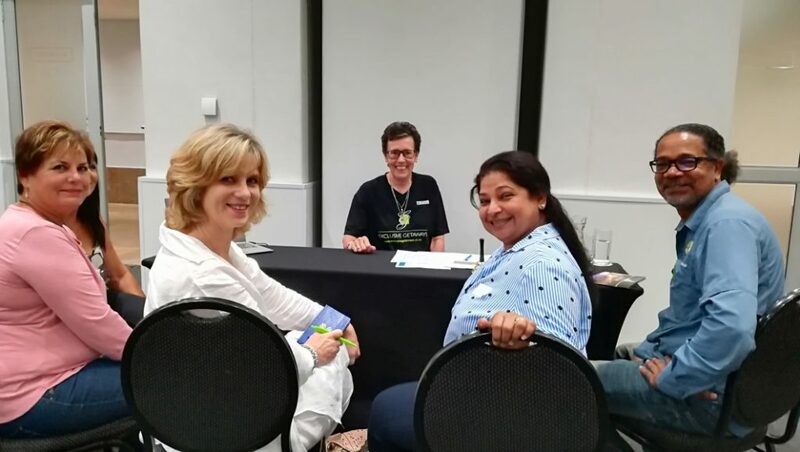 AM Luxury: “Indeed a great workshop!” ~ Hannes Du Preez, March 2019. Zambezi Queen Collection: “Thanks for the great workshop!” ~ Kirsty Coetzee, March 2019. Zwahili Private Game Lodge & Spa: “Thank you for always organizing everything so perfectly.” ~ Amanda Vermeulen, February 2019. SouthernCross Marketing & Management: “Thanks again for your and your team’s hard work – amazing the way they seem to happen so effortlessly!” ~ Wendy Dold, 2018. Shell Lodges: “Thanks again. This is definitely one of the most effective workshops I have ever attended. It was a great experience!“ ~ Dijana Smal, 2018. Seolo Africa: “Thanks for a lovely workshop and prompt supply of the contact details.” ~ Michelle Hollis, 2018. Bill Harrop’s Original Balloon Safaris: “Thanks for a super-successful workshop – as always it was such a pleasure being part of your workshops!” ~ Sarah Bauling, 2018. Rovos Rail: “Really great day – thank you.” ~ Joy Strydom, 2018. Time Out Marketing: “Thanks Patsy, it was great and very well supported. 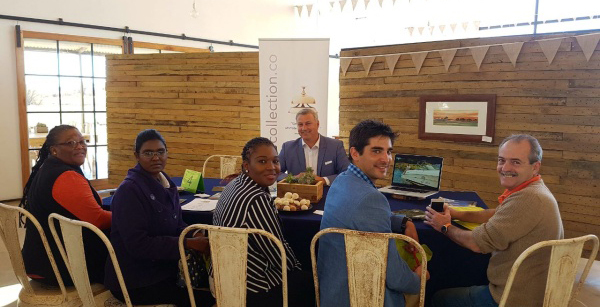 There were really some great key people who attended, so I was very happy with the turnout.” ~ Barbara De Kock, 2018. 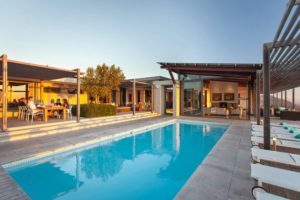 The three properties forming part of the Liz McGrath Collection are showcased to Cape Town travel professionals. 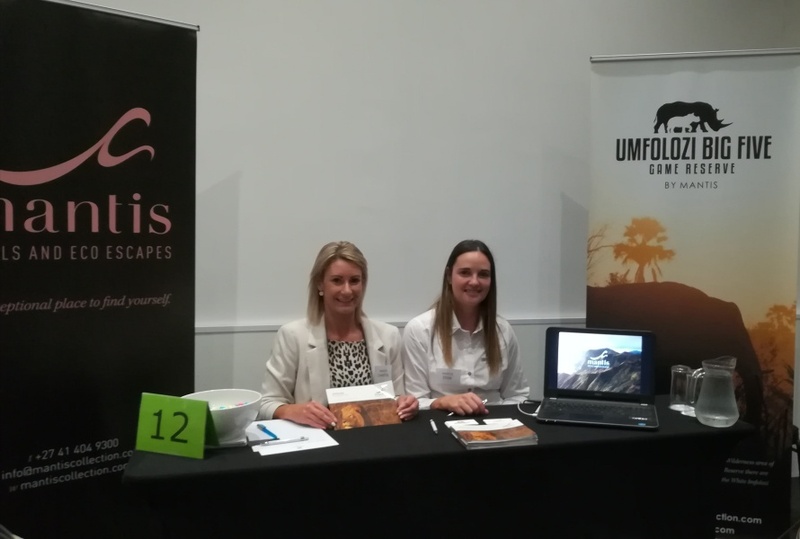 Sarah Bauling from Bill Harrop’s “Original” Balloon Safaris exhibiting at an Exclusive Getaways workshop in Cape Town. 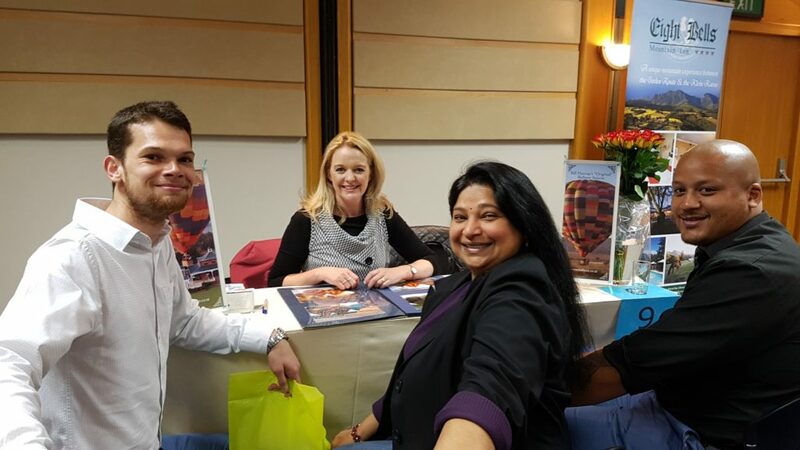 Mantis Hotels, Eco-Escapes & Lifestyles Resorts exhibiting at an Exclusive Getaways Workshop for Travel Professionals. 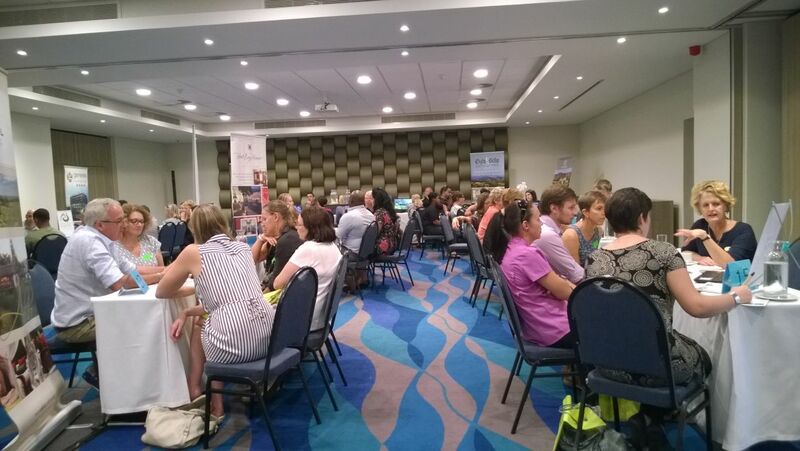 “Thank you and your team for the wonderful workshop yesterday.We appreciate … the opportunity to meet with new suppliers and network with other agents.” ~ Hayley from Carlson Wagonlit CSIR in-house in Pretoria. “Thank you so much to you and your team; today was most enjoyable and informative!.” ~ Gordon from Travel Again in Bryanston. “As always, [the workshop] was enjoyable, educational and informative.” ~ Gloria from XL Turbo Travel. “I thoroughly enjoyed the workshop and do believe it is beneficial to exhibitors and attendees.” Craig, Capey Tours. 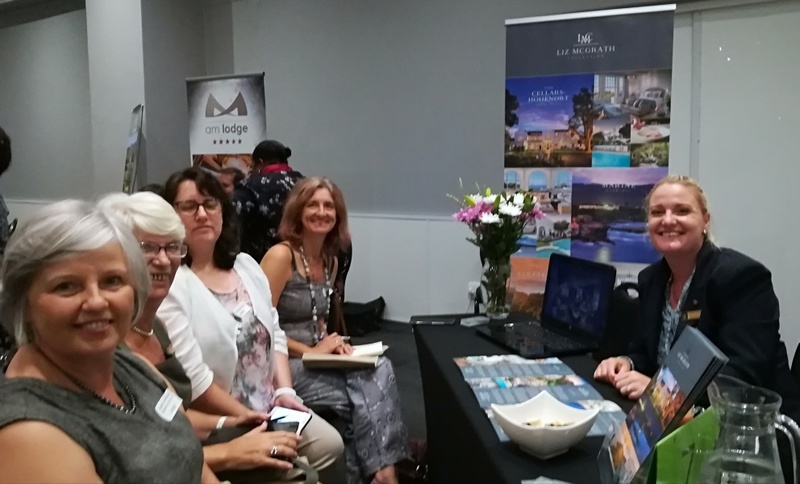 If you represent a luxury lodge or travel product in South Africa and wish to exhibit at our workshops, please mail Patsy or call her on 0860 102 907 / +27 21 797-7122.